Kitchen remodels are challenging to take on alone without professional help. That’s why we go to professional remodeling companies—to relieve the stress and burden that remodeling projects can bring to the average homeowner. There are certain qualities that you should look for when hiring the right kitchen remodeling service, as they are not all equally qualified to help you with your project. It’s important to keep in mind that your kitchen remodel will only be as successful as the company that executes the design and installation, so putting in the extra effort to research a quality kitchen remodeling company will benefit you in the end. In this article, we’ll talk about what you may want to look for in a kitchen remodeling business that will provide you with the most successful outcome. What others in the community have to say about the company should weigh heavily on your decision to hire them or not. A company may be qualified and affordable, but if their clients are generally unsatisfied with the results then it may be best to move on. Remodeling projects can get hung up on unforeseen obstacles—it’s often just the nature of the beast. It’s critical that you remain aware of the progress of the remodel throughout the process; therefore, the company should exhibit attentive and thorough communication skills before the remodeling even begins. The remodeling company you choose to hire should be a licensed contractor in the state your remodel is taking place in. This will help guarantee the quality of work, as it instills a level of prestige and responsibility in the company performing the remodel. Achieving the kitchen of your dreams at the cost of immense financial burden is never a desirable outcome. The remodeling company of your choice should have flexible financing options so that homeowners of various incomes can still afford a beautiful remodel. It’s one thing to know about how to remodel a kitchen, it’s quite another to have a solid understanding of the intricacies of kitchen design. For instance, the remodeling company should have a foundational understanding of electric and plumbing elements of a home as well. This is another reason why it’s best to choose a company that has a contractor’s license. A good remodeling company knows that every client is unique and has individual preferences and budget allowances. Therefore, it’s important that the company you choose is accommodating in finding solutions that will work best for your needs as well as your budget. 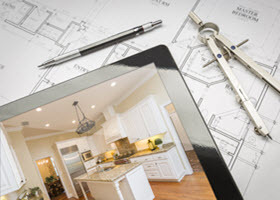 Getting stuck with a remodeling company that leaves work unfinished or takes shortcuts can leave you with a less-than-desirable outcome in your kitchen remodeling project. We take pride in our work, and refuse to cut corners despite budget restrictions. 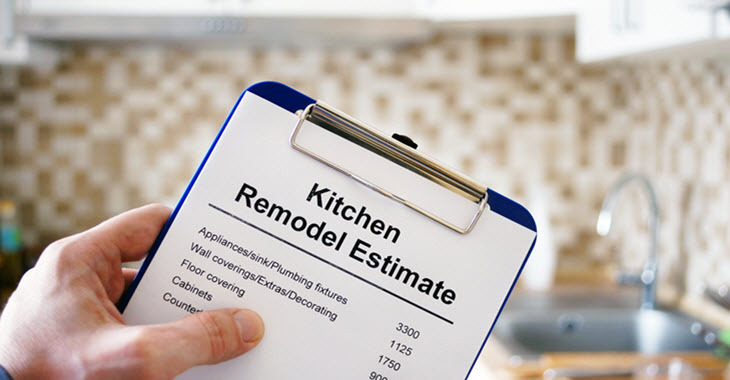 If you’re considering remodeling your kitchen but haven’t found the right business to help you, please feel free to contact us to learn more about our qualifications, experience, and background.